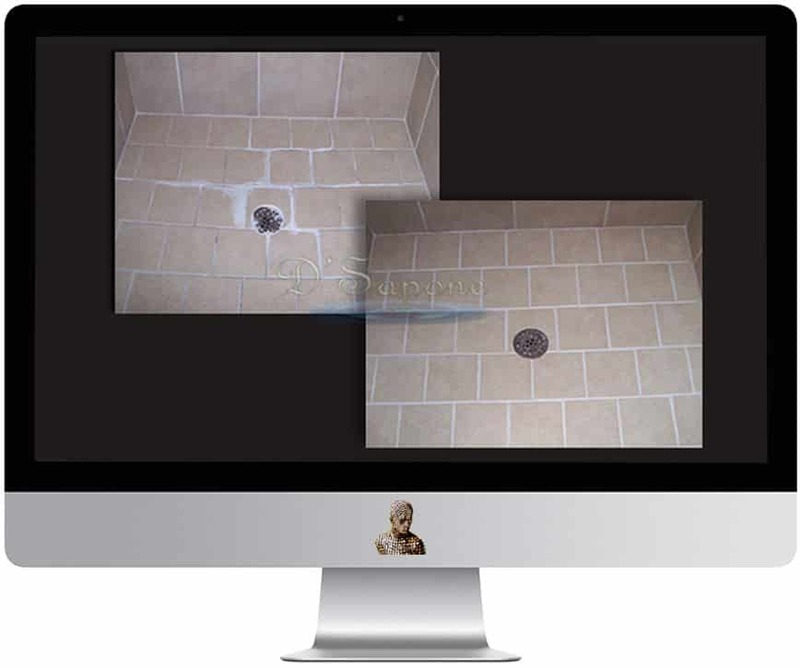 We perform the best cracked shower tile repair service in Brooklyn. No need for extra tile. While performing the cracked shower tile repair service in Brooklyn, we can cleverly disguise cracking issues while still achieving longevity. The curse of a cracked tile. Most of the builders don’t repair tile without having a new tile and that’s what creates a big miss-match for your surface. It is nearly impossible to match the color of your current tile. After installing the tile, you will see the pigment is not matching due to dye lot color. Our incredibly manufactured product Sentura, which is available in more than 40 colors, seals the tile properly and gives your surface a natural look. Experience a fresh and crack free shower. We have a new way of analyzing the cracking issues. We match the color of your current tile with Sentura to repair the cracked pieces properly. Natural stone cracks are repaired and color matched to blend with the stone. Once the Sentura bonds to the edges of the stone – it’s a bond will adhere the stone together and flex with any movement. 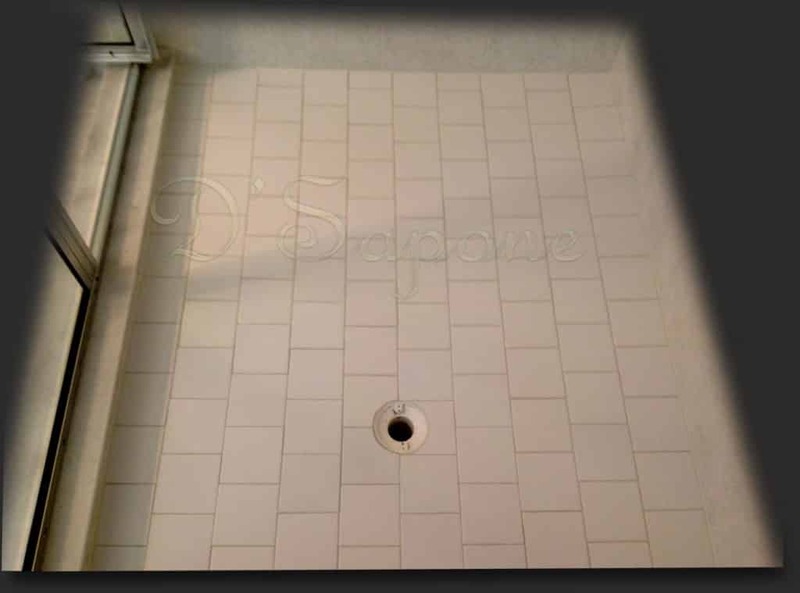 Efflorescence causes cracked tile in shower. 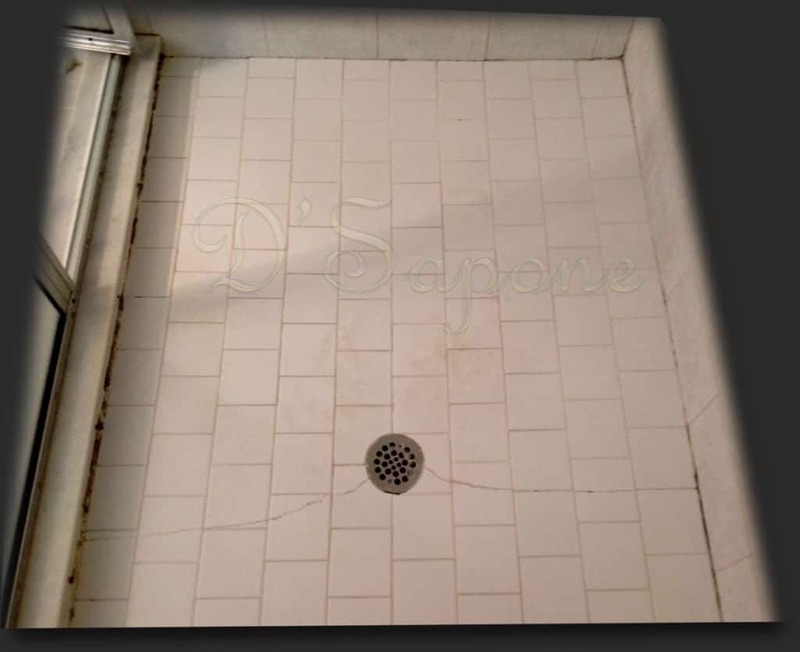 The given image shows why efflorescence develops in your showers. The top of the concrete needs a waterproofing membrane and most showers lack this step. Apart from this, a pre-slope is not provided underneath the mud bed. 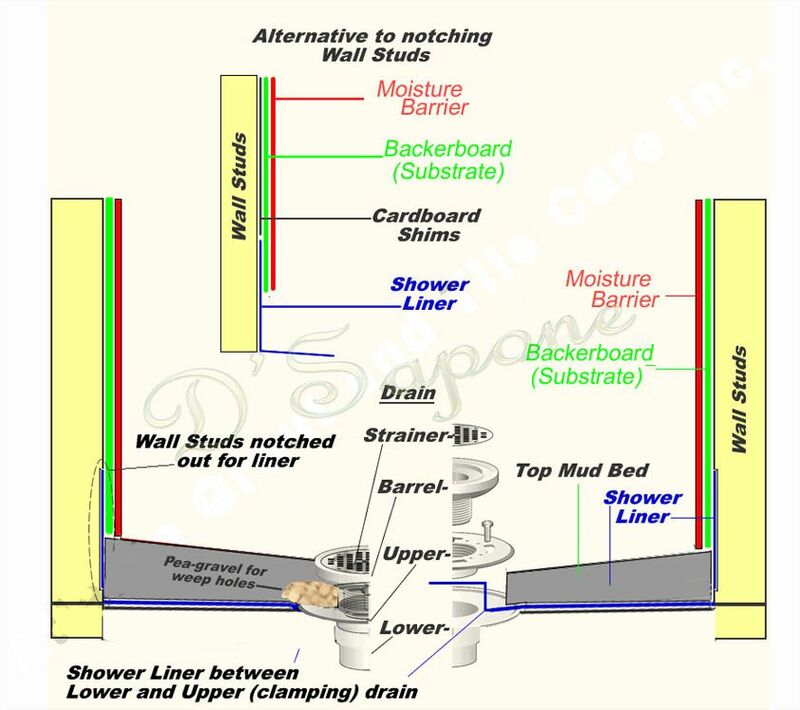 The absence prevents water from draining to the weep holes properly, as well as the mud bed will not dry out. The grout lines and tile crack due to the presence of efflorescence. 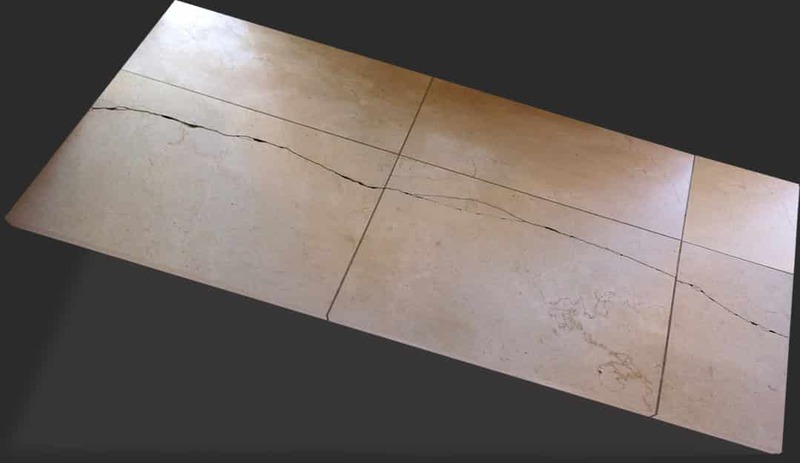 After repairing the cracked tile, we cover the damaged grout lines with Caponi® and then, apply Sentura at the corners to prevent the effect of water penetrating the surface. Cracked shower tile repair service in Brooklyn.